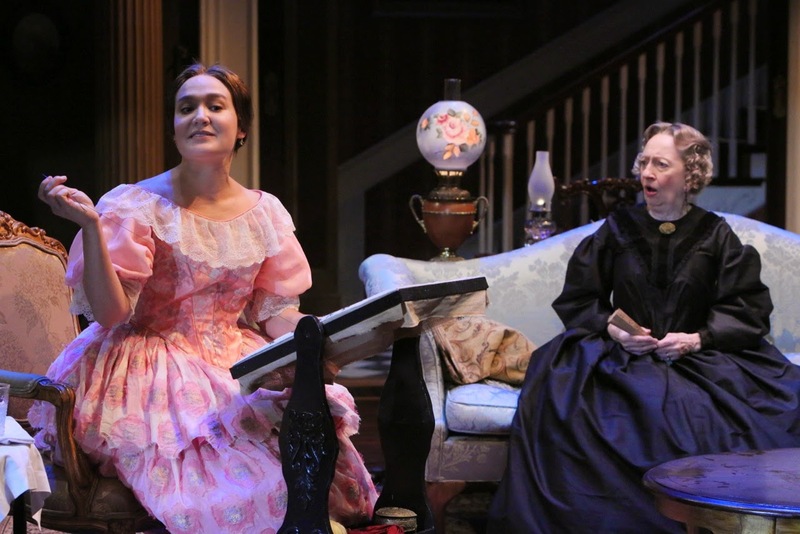 Last night I saw the classic play The Heiress, about Catherine, a wealthy heiress lacking in social graces with a stern father and an unexpected suitor. I was having a hard time wrapping my head around the play until I had a sudden revelation this morning - Catherine is Peggy. On the exquisite work of art that is Mad Men, Peggy starts out as a powerless secretary and over the course of 7 seasons has slowly gained power in her life and her career, often at the expense of romantic relationships. In one pivotal scene in season 6, the married man Peggy has been having an affair with who promised to leave his wife for her (don't they all) changed his mind and decided to move his family to L.A., far away from the "temptations" of Peggy. He said to her, "one day you'll be happy I made this decision." Peggy replied, "well aren't you lucky, to have decisions." This is perhaps the best line ever uttered on television, and speaks volumes about women's lack of power in the advertising world of the 1960s, or a modern-day women's prison, or the upper-class world of 1850s New York. The Heiress is all about Catherine reclaiming her power, even if it comes at the expense of her own happiness. Catherine's father decides that Morris couldn't possibly love her and therefore she shouldn't marry him. Morris decides that Catherine shouldn't give up her inheritance for him. But in the end, after much heartache and pain, it's Catherine who decides what she wants and what is best for her life. The Heiress was written by husband and wife playwrights Ruth and Augustus Goetz in 1947, based on Henry James' late 19th Century novel Washington Square. 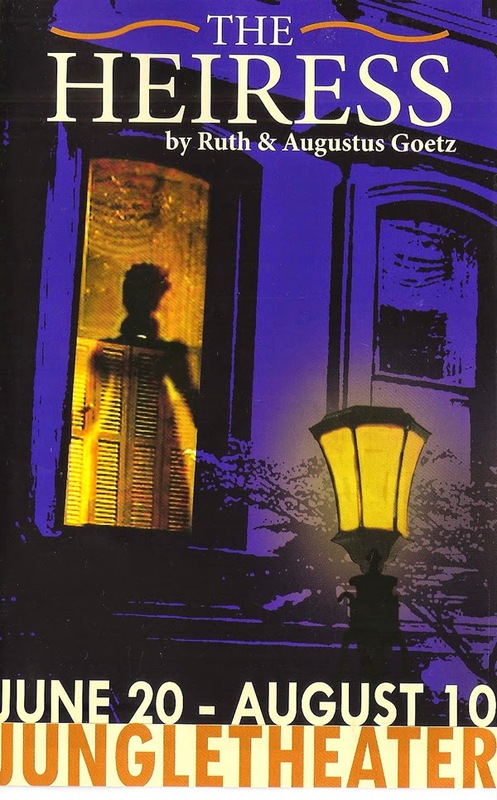 The title refers to a young woman named Catherine who lives with her father Dr. Sloper in a posh house on Washington Square Park in 1850s NYC. Catherine's mother died in childbirth, and like Tyrion Lannister, her father blames her for her mother's death. He continually compares Catherine to her mother and finds her lacking. According to him, Catherine is plain, boring, and possesses no charm or grace. But who could possibly live up to the ghostly image of the perfect woman that he has created in his head? Despite this attitude, or perhaps because of it, Catherine loves her father desperately and would do anything to please him. When Catherine is courted by a handsome young gentleman, Dr. Sloper believes that he only wants her for her money, because who could love such a woman as Catherine? So begins Catherine's struggle between pleasing her father and committing to this man that she loves and she believes loves her. Like Tyrion, Catherine eventually gets her revenge on her father, although with much more subtle tactics than a cross-bow. She finally realizes her own power, and will not let the desires or decisions of either man control her life. The world of The Heiress is brought to life on the Jungle stage through impeccable design and a fantastic cast. Director Bain Boehlke has made the tiny shoebox stage look like a large and luxurious drawing room, with stairs ascending in the back and an unseen front door. Amelia Cheever has designed absolutely gorgeous period costumes, each of the many outfits perfection from head (top hats!) to toe (spats!). I don't usually notice lighting and sound, but in this case they're so lovely they must be mentioned - the warm glow of lamps turned on one by one, the morning sunlight streaming through windows, and the very important sound of horse-drawn carriages passing by on the street outside (lighting by Bill Healey and sound by Sean Healey). To play the title role, Kate Guentzel reigns in her usual effervescent charm and transforms into this plain and timid woman, who blossoms with love, grows through pain, and shows her strength at the end through subtle changes in voice and demeanor. One of my favorite playwrights, Jeffrey Hatcher, makes a rare onstage appearance as Catherine's stern and pragmatic father and proves he's just as good on this side of the stage. The incomparable Wendy Lehr plays Catherine's fluttery aunt who so desperately wants her to marry Morris, regardless of his true intentions. Kate's real-life husband John Catron plays Catherine's suitor Morris, and is so delightfully and falsely charming that one wonders how awkward that ride home is every night. The rest of the cast fill their roles well, even if only onstage for a short time, including Valarie Falken as the family's ever-present Irish-accented maid. The Heiress is a remarkably feminist piece for a play written in the 1940s based on a book from the 19th Century. While Catherine might not have a happily-ever-after ending, at least it's on her own terms. The Heiress continues at the Jungle Theater through August 10.